As exclusively reported by Gadgets 360, Amazon’s range of Alexa-powered Echo devices are now available via offline retailers as well. What’s more, as we expected, even online purchases via Amazon.in are now open to everyone, removing the invitation system. When the devices launched on Amazon India they were available at a 30 percent discount and also came bundled with an Amazon Prime membership (worth Rs. 999) – both these perks will sadly no longer apply. This means the devices will now be available at Rs. 4,499 for the Echo Dot, Rs. 9,999 for the bigger Echo, and Rs. 14,999 for the Echo Plus. All the speakers are powered by Amazon’s virtual assistant Alexa, and at the company’s Bengaluru office, its executives revealed that the Echo line in India is getting a broad rollout of new functions as well. These aren’t new in that they’ve already been made available in other parts of the world, but as a part of the company’s localisation efforts, not all features were made available at launch. To be clear, multi-room playback has already been available to several users in India, and the move represents a broad rollout of the feature. Communications on the other hand lets you send messages from one Echo to the other. You can also use the Alexa app on your phone to type and send messages, and Kumar showed an example where a message was typed in the Hindi script, and read out by Alexa on the Echo with no issues. You still cannot call landlines and mobiles from your Echo like in the US, but the new feature will use the Echo as a speakerphone if you have multiple devices in the same house. “A lot of people also told us that they want to be able to not just give commands, but set off multiple operations with a single commands,” added Kumar. “Now you can do that with Routines.” To demonstrate, he triggered a routine with the phrase “Alexa, good morning.” The speaker responded with a greeting in kind, before reading out the weather, turning on the connected Philips Hue lights, and then running through the headlines in two news apps. So, in other words, you can have Alexa trigger a series of actions with a preset phrase. Multi-room first rolled out in August, while calling was introduced in the US almost a year ago, and Routines were added in November, ahead of being introduced in India. When the devices first launched in India the target was early adopters, people who, as Parag Gupta, Head of Product Management and Marketing, Amazon Devices told Gadgets 360, wouldn’t mind a few rough edges. “We wanted people who were passionate enough to give feedback as well, and we see millions of utterances each week, which is probably the highest we’ve seen at launch in any market,” said Gupta. While he wouldn’t comment on the total number of Echo devices the company has sold since launch, he told Gadgets 360 that there are “tens of thousands” already in the country, adding that several people wrote to Amazon asking to buy second devices (as the invite only allowed one Echo per customer). “We have customers from Jammu and Kashmir and customers from Port Blair, and we have been very happy with the launch, which went even better than expected,” he added. From Thursday, Amazon’s Echo devices will be available not only from the Amazon website but also via offline retail partners. According to Gupta, the sales experience will be the same as it is for Kindles and Fire TV Sticks sold offline, with demo zones and Amazon-trained representatives to ensure the customers can see all the features of the device on the floor itself. 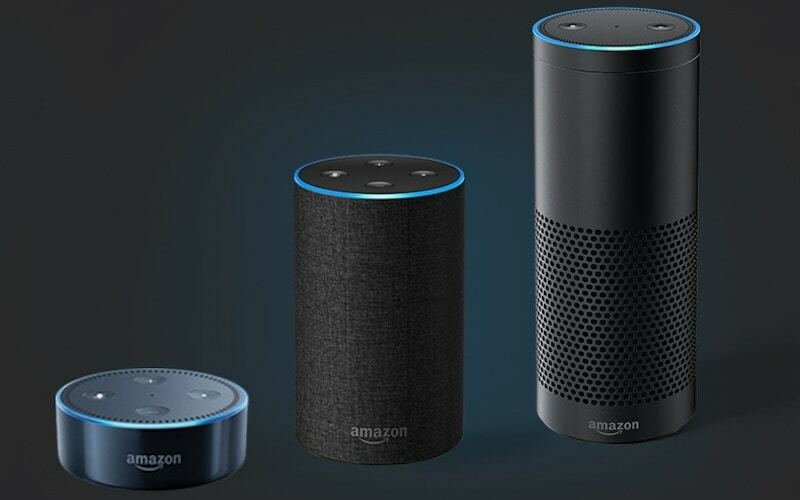 Although the two did not reveal plans for upcoming Echo devices in India, or additional services, they stressed that the Echo devices – or more accurately Alexa – has evolved since the speakers launched in October, and has become far more useful in India. “There are now 12,000 skills that you can use,” said Kumar, “out of which the last 2,000 are almost all developed in India, with 1,000 being made in just the last 60 days.” To make it easier to find new skills, users will also be able to visit an Alexa skills store on Amazon.in, just like you can on Amazon.com. “You can browse the skills on your computer or your phone, and then just tell Alexa on the Echo to add the skill, so it’s frictionless to add a skill,” added Kumar. Gupta also added that Amazon has been working on improving the localisation of Alexa, and that it’s now even more aware of the context in the country, based on feedback that has come in from the existing users. “One thing that Jeff [Bezos, the CEO of Amazon] has always said is that Alexa shouldn’t be an American visiting the country, she should be fully local,” he added.